Rabat, the capital of Morocco, a seaside country in the northern part of Africa, was recently home to four Wilmington College students and two alumni for the weekend of November 2 to November 5. 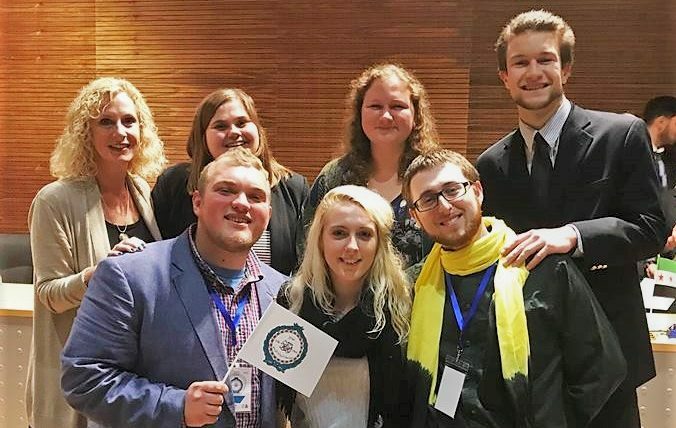 WC students Amanda Watson, Michael Smith, Jese Shell, Tess Delcamp, and alumni Maraya Wahl and Chris Howard participated in the International Model Arab League (IMAL) hosted at the International University of Rabat. From October 30 to early November 2, prior to the opening of the IMAL, the group toured the Moroccan mountains and well-known cities of Marrakesh and Ouarzazate. 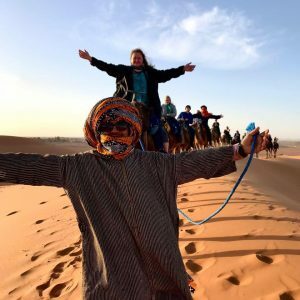 They stopped for street-side merchants, ate traditional Moroccan meals, rode camels, climbed the spectacular dunes of the Merzouga desert, and befriended the locals. 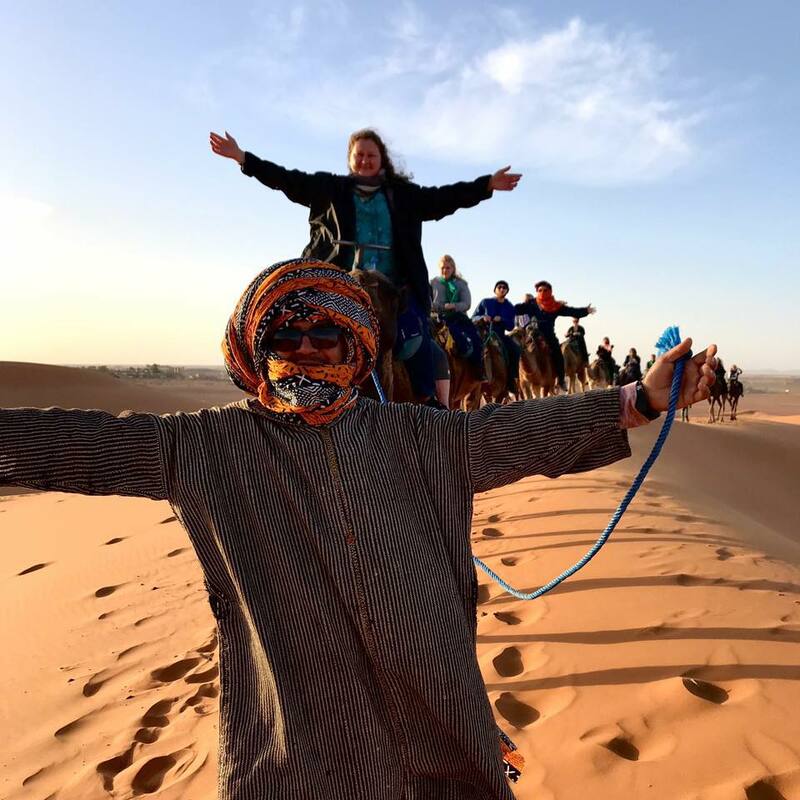 After exploring Morocco, students began their participation in the IMAL, a program that informs young leaders about international issues and creates a greater awareness of the Arab world and its people. 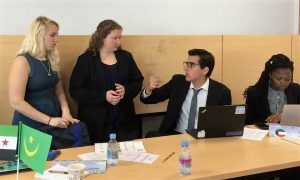 Each student from Wilmington and other international universities represented a country within the actual Arab League and worked to resolve political and social issues that affect the area. “I knew coming in to the conference I needed to be superbly prepared and have my facts straight,” said Smith, who has previously participated in the regional Model Arab League. 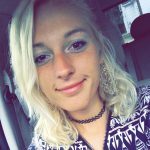 Participation in the Ohio Valley Regional Model Arab League is offered by WC Professor Marlaina Leppert-Wahl as a 2-credit hour course in the spring. Students of all majors are encouraged to participate. Leppert-Wahl also accompanied WC students to the National Model Arab League event in Washington, DC for the first time in April 2018 and will return with another group in March 2019. For more information about Wilmington College’s participation in the regional, national, or international Model Arab League, contact Dr. Marlaina Leppert-Wahl at marlaina_leppert-wahl@wilmington.edu.